This Ocean Fishing Urn is crafted of red alder wood with a beautiful clear finish. To place cremains in the urn, simply remove the screws from the bottom of the urn, remove the base of the urn, and place the bag of ashes in the urn. 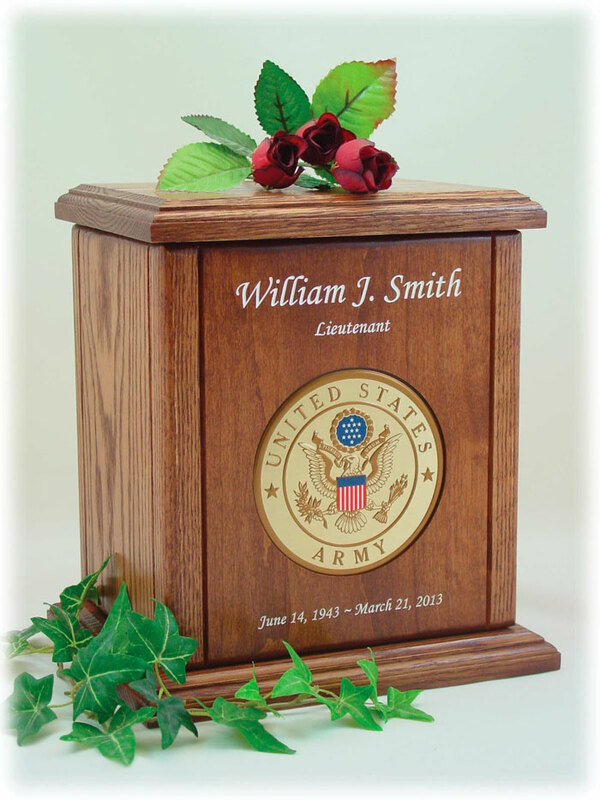 The recessed screws and several small felt pads on the base of the urn protect the surface on which the urn rests. Each urn is personalized with the name, dates, a loving remark such as €œLoving Husband and Father€? and the fisherman scene.